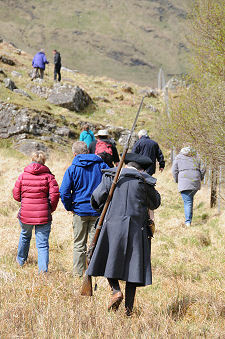 Return to the main Stevenson Way page. 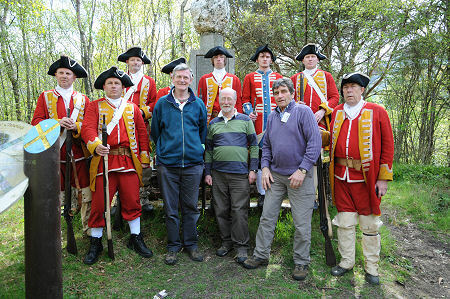 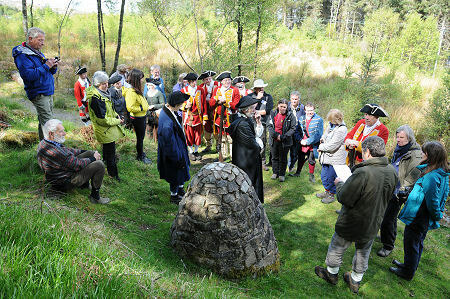 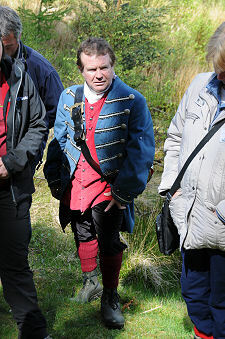 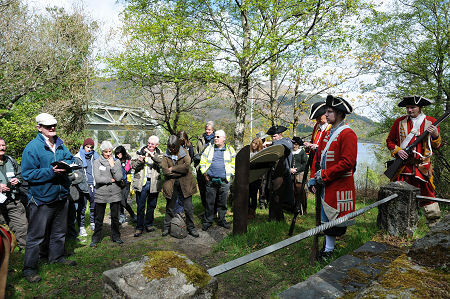 5 May 2012 saw the official launch of the Stevenson Way. 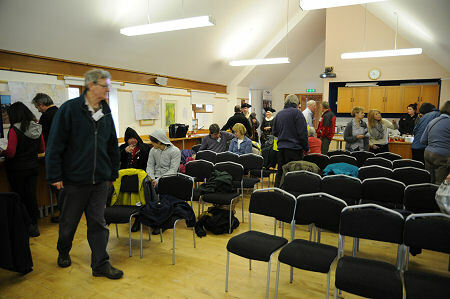 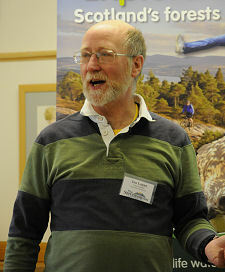 Invited guests assembled at the NTS Glencoe Visitor Centre for an introduction to the walk and its background. 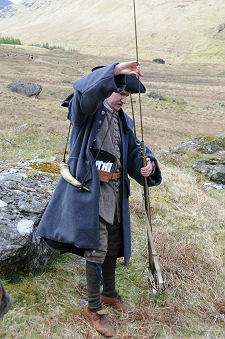 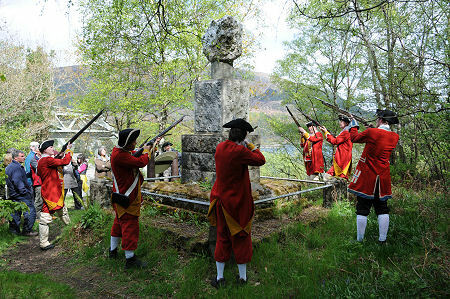 They then visited a number of local sites associated with the Appin Murder, which forms such a central incident in the flight of David Balfour and Alan Breck across Scotland in Robert Louis Stevenson's novel "Kidnapped". 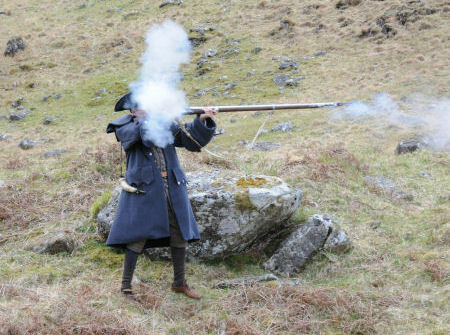 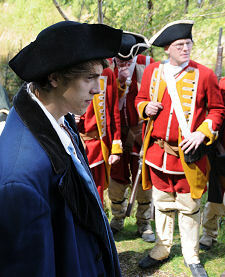 They were accompanied by re-enactors playing the parts of David, Alan, and Redcoats searching for them, and saw a demonstration of a musket being fired. 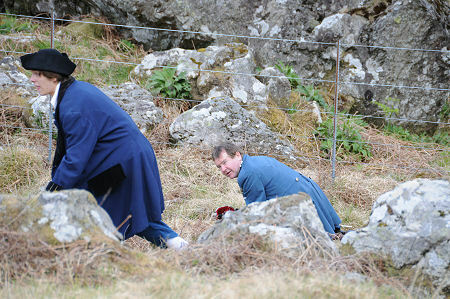 Our Stevenson Way feature first appeared in December 2002, and can be seen here.